DNA Painter | Who created this site? Why would you use DNA Painter? How do you use DNA Painter? How do you use the import function? Where do you find the match data? My name is Jonny Perl and I am a web developer and family history enthusiast based in London, UK. OK - clearly my spreadsheet skills are lacking somewhat, but this wasn't very fun to use, and as I began to test more relatives, I realised I needed something that would be easier to set up, edit and maintain. So I built DNA Painter. I hope you'll find it useful. So far it has helped me a lot, and has also grown beyond my expectations. As a beta site I'm sure not everything is perfect, and am very grateful for all feedback. If you have any questions or suggestions please get in touch via email (info@dnapainter.com) or twitter (@dnapainter) or via the dedicated DNA Painter user group on Facebook. For feature updates please 'like' the DNA Painter page on Facebook. 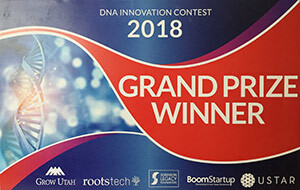 DNA Painter won the grand prize in the DNA Innovation contest at Rootstech 2018 in Salt Lake City, UT. The tree diagram illustration on the 'Assigning Segments' page is adapted from this example by Philipp Khn. The shared cM tool uses data compiled by Blaine Bettinger and probabilities that were derived by Leah LaPerle Larkin and Andrew Millard from an Ancestry white paper. Many thanks to them. Many thanks also to everyone in the genetic genealogy community who have helped test this site so far! Particularly the early testers in the DNA help for Genealogy UK group and those in the Genetic Genealogy Tips and Techniques and DNA Painter User Group communities who have pushed me to make the site better.